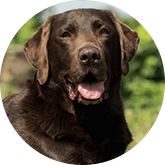 They provide us with love and support, attend many of our major life events and – with some breeds – even assist with basic chores. Needless to say, Australian households love their dogs. But the fact remains that the dog often ends up being the only member of the household that isn’t protected in the case of accidental injury or illness. How would you respond if your dog was suddenly taken ill or was severely injured in an accident? Would you be able to cover the expense of its veterinary care? With comprehensive dog insurance from Pet Insurance Australia, you don’t have to worry about questions like these? Thanks to PIA, you don’t have to worry about whether you’ll be able to afford unexpected veterinary bills when they inevitably occur. Thanks to our flexible lines of coverage, you can ensure that your dog’s healthcare fits nicely into the household budget. With this plan, your dog will be covered for accidental injuries – whether they result from playtime, a roadside accident or something else. 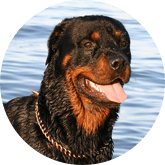 This is an essential line of coverage for all dogs, but it’s of particular importance for active breeds that are more likely to injure themselves during high-energy playtime or agility training. 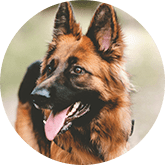 With accidental injury cover, you don’t have to worry about whether or not you’ll be able to afford the veterinary bills that your dog could incur. With this plan, you’ll be reimbursed for up to 80 per cent of the healthcare costs for your dog resulting from an accidental injury. This line of coverage goes beyond standard accidental injury cover to also cover up to 80 per cent of veterinary bills associated with illness. 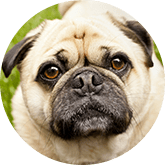 This is a particularly important consideration for breeds that are at a higher risk of hereditary illness and other conditions. 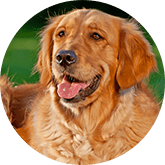 With this comprehensive plan, you can rest assured that your pet will enjoy many happy and healthy years as a member of your family. As with the previous plan, you can choose your own excess level to ensure that you’re never caught out by an unexpected injury or illness. 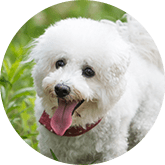 Our most comprehensive form of coverage, Major Medical Pet Insurance Cover features all of the above-mentioned forms of protection, with the added benefit of routine care as well. With this line of dog health insurance, routine medical procedures are also covered. That means that your dog’s regular check-ups, vaccines and other recurring healthcare considerations are also covered. Enjoy total protection and complete peace of mind with Major Medical Pet Insurance Cover in Australia. Remember, different breeds have different health conditions and needs. 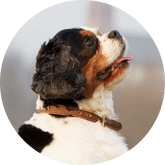 So, browse through our list and find out everything you need to know about your dog breed. It’s easy to say that your dog is a member of the household. But by looking into the best pet insurance for dogs, you can ensure that really is the case. Contact PIA today to learn more about our coverage options for dogs in Australia. Finally, you can rest assured that you have the means to give your dog the care it deserves.